The holidays are a magical yet stressful time for many individuals. When keeping up with never ending shopping lists, gifts, holiday parties, travel, meal preparation and family visits in addition to work, it is easy to get overwhelmed. So many activities are crammed into such a short amount of time that this time of year is bound to bring stress. With so many competing demands vying for your time and attention, it can be difficult to stay focused at work. Holiday stress can burnout employees and decrease productivity and motivation. In order to ensure that the holiday blues don’t put a damper on success, try these five easy tips to help you stay productive at work. During this busy month, it can be all too easy to put everyone and everything before your own needs. Remember that in order to be the best employee, spouse, family member or friend, you need to remember to take care of yourself as well. Make sure to get adequate rest, drink plenty of water, exercise and don’t skip meals so that you are fueled and recharged for the busy days ahead. If you don’t have time to eat before coming into work leave snacks or fruit at your desk so that you can refuel while checking emails. Try to move around whenever possible. Park your car at the end of the lot, opt for the stairs instead of the elevator and take small walking breaks throughout the day. These short activities will not only help to boost your endorphins but increase productivity. Take the time to write out everything that needs to be accomplished each day, week, and month to avoid feeling overwhelmed and the possibility of forgetting important information. When you take the time to write out a “to-do” list, what may have felt like a daunting situation in your head is actually quite manageable. The satisfying feeling of checking off items on your list instills a sense of accomplishment and can also help boost motivation to keep pushing forward. It is ok to say “no” and decline an invitation to your coworker’s, neighbor’s, son’s, dog’s holiday party. It is impossible to say “yes” to every opportunity that comes your way. Let go of FOMO and prioritize the things and events that are of high importance to you. If your time is spent trying to keep up with every event, you won’t be able to truly enjoy the season or maintain work obligations. Holiday traditions and festivities are supposed to be fun, don’t turn them into a chore by overbooking your calendar. It is nearly impossible to focus on two things at once, so don’t make your job harder by taking care of personal obligations at work. Don’t forget that you are at work and have a job to do. While many personal errands during the holiday season are of specific importance, don’t let them get in the way of your responsibilities. Plan ahead so that you are not scrambling last minute and feel the need to use every minute of your time at home and work accomplishing everything that needs to be done for the holidays. The holidays and Christmas are all about love, family, friends and the birth of a savior. Remember that the holiday season is a time of celebration, not stress. 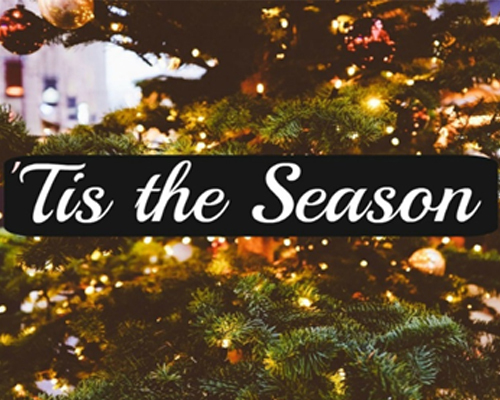 It is not about how beautiful the presents are wrapped, how early you send out your Christmas cards (or if you even send them out at all), how well decorated your home is, what parties you go to, what you wear or the food you serve. Christmas is all about joy and sharing that joy with others. When you feel like the holidays are slipping away from you at home or at work, shift your focus on how you can extend kindness to your loved ones or coworkers.